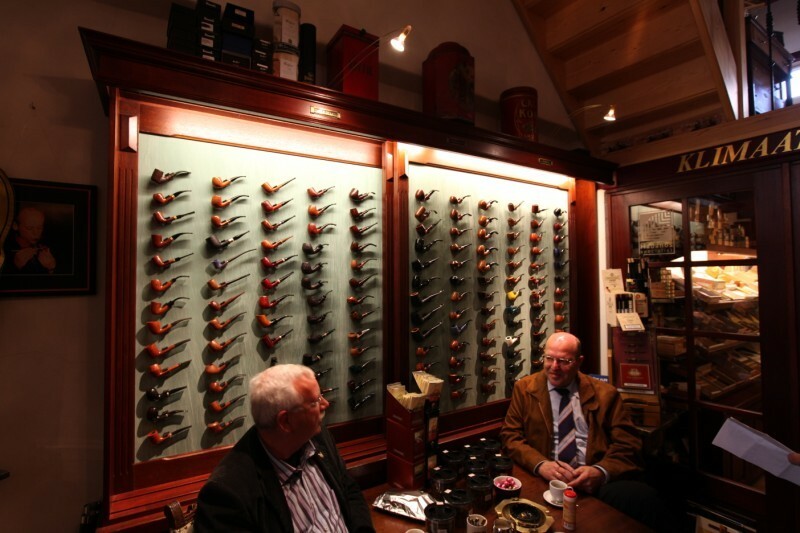 With the Dutch/Belgian Pipe Smokers Forum we currently roughly have two big annual meetings. 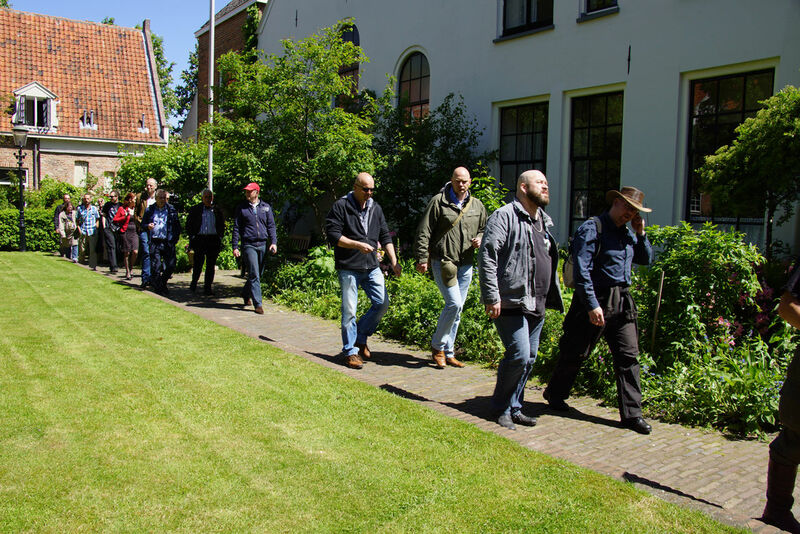 One of those always is held in the city of Zutphen at the beginning of June. 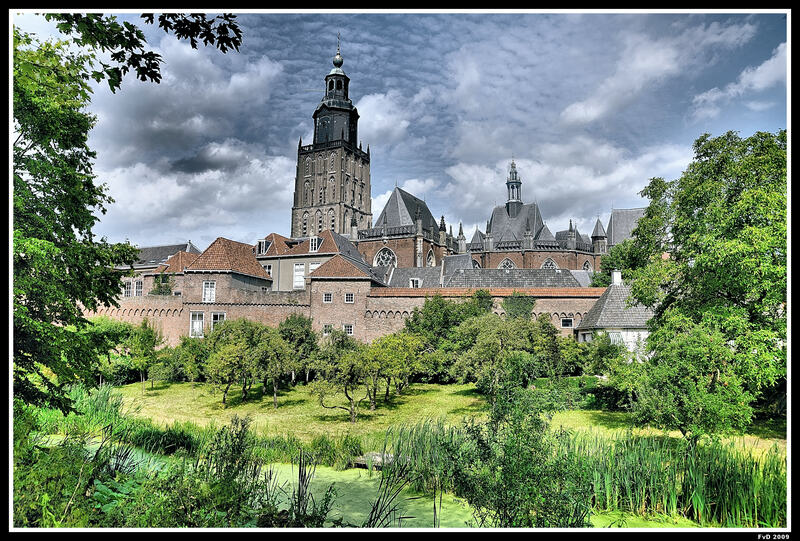 Zutphen is very old, it received city-rights between 1191 and 1196, which makes it one of the oldest cities in the country. With my love for history I very much like to look at all the old buildings and wander around there. And smoke a pipe of course. 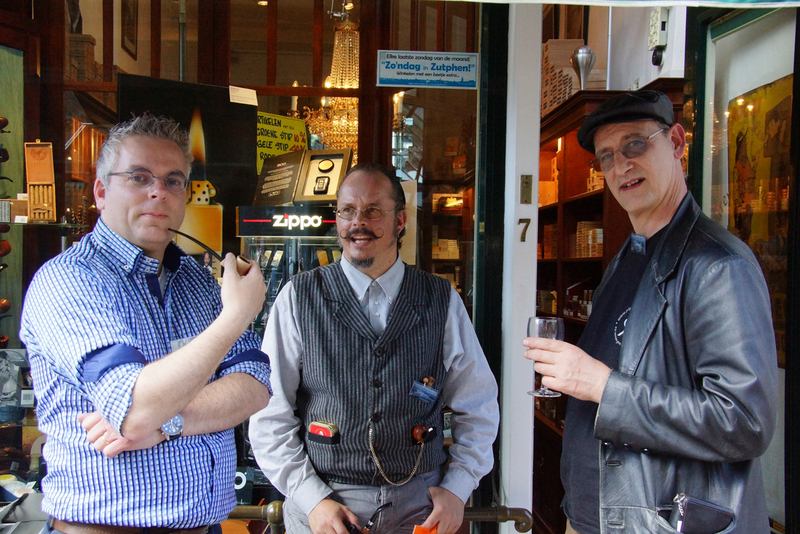 The place to stay for the Zutphen-meeting is always the store of tobacconist Willem Schimmel. Willem is a very friendly, although a bit chaotic, host who knows the fine trade of being a salesman. He has just has that gut-feeling, is able to tune in on his customers and make them feel very welcome. A rare talent these days. 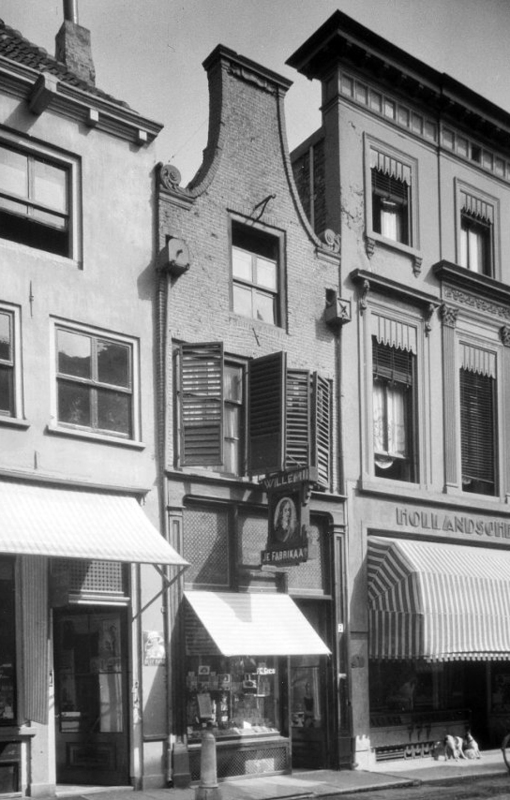 In 1972 at the early age of 21 Willem started his business in the building in the Sprongstraat where he is still located today. 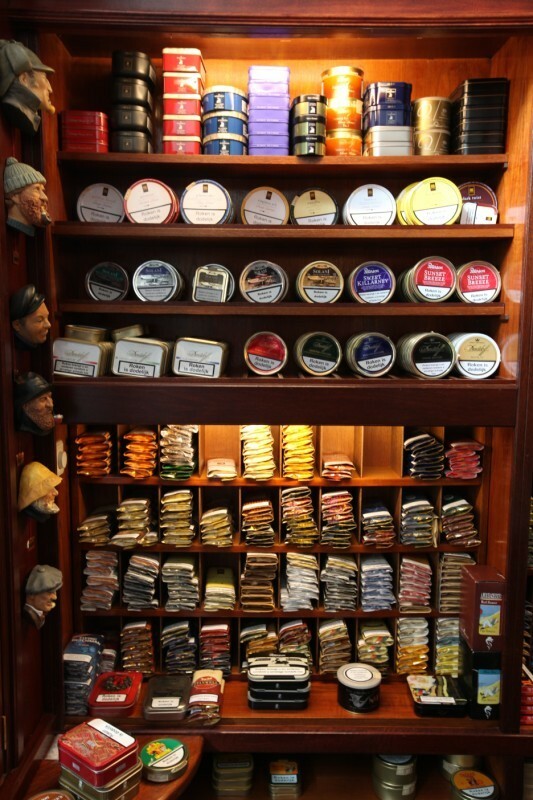 Since 1919 a tobacconist is housed there. Originally the business was founded by the Jewish family Gies. Later Bennie Smolders took over and like I said, Willem himself began in 1972. 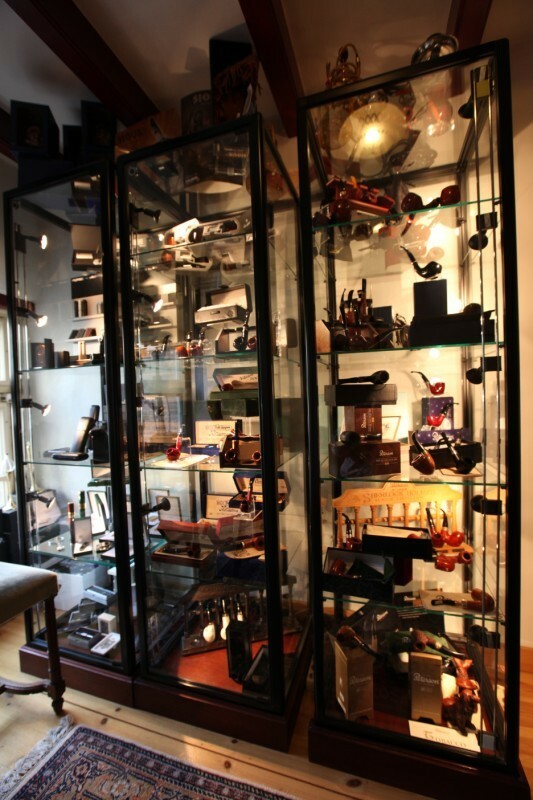 Since the sixties his father had a cigar store in Doetinchem. 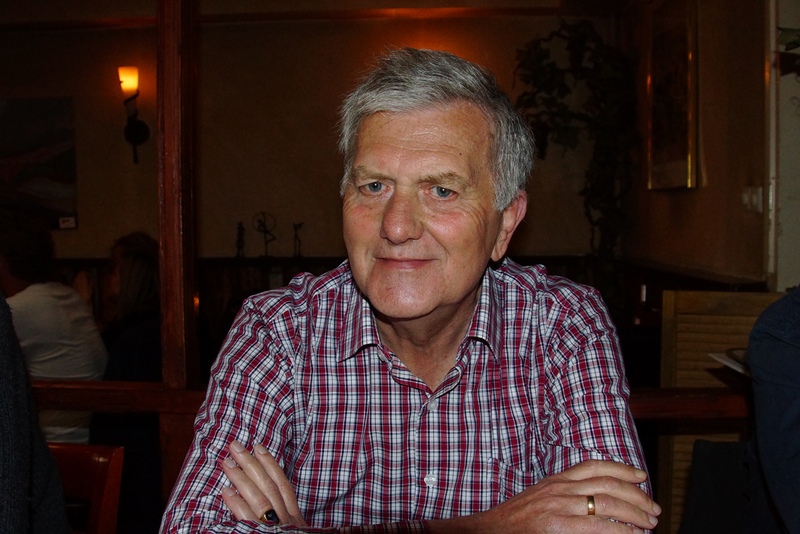 When Willem came back from military service he initially did not really know what he wanted. But with a lot of support from his parents and the three Smolders brothers he then started the business in Zutphen as a 21-year-old rookie. Willem had it not easy in those early years. Of course he was still young and a stranger in Zutphen, so he really had to prove himself. It was always all about hard work and making long hours. His parents had put their savings in the business and he got 25 guilders pocket money and 15 guilders petrol money, he had to do it with that. His father was a true entrepreneur. At that time Willem had some candy standing on the counter, but if he took one for himself it was expected of him that he would put sixty cents in the cash register. His father would say that he had to sell a few packs of cigarettes for that money. 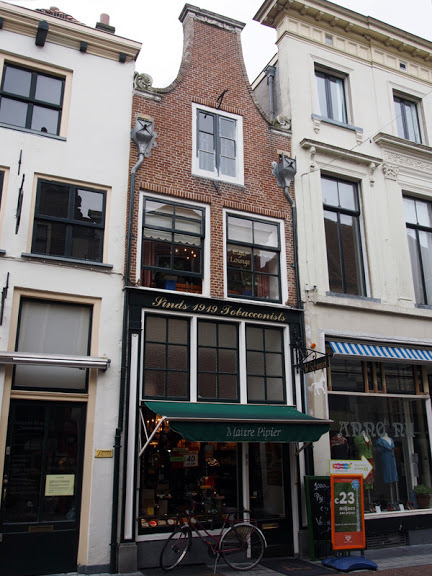 That degree of specialization, combined with the authentic look of the store probably made that Willem managed to survive. 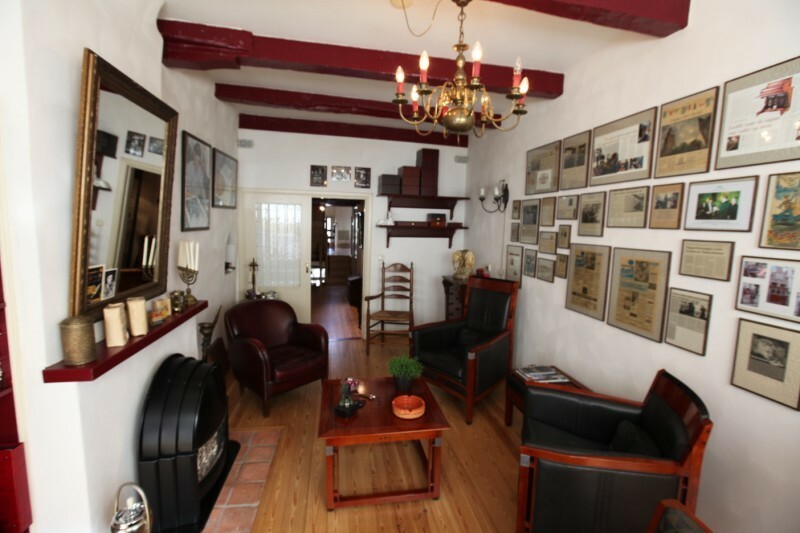 In the early eighties there was a renovation which was followed by a restoration in 2000. There it was tried to do justice to the old building (which dates back to 1724!) 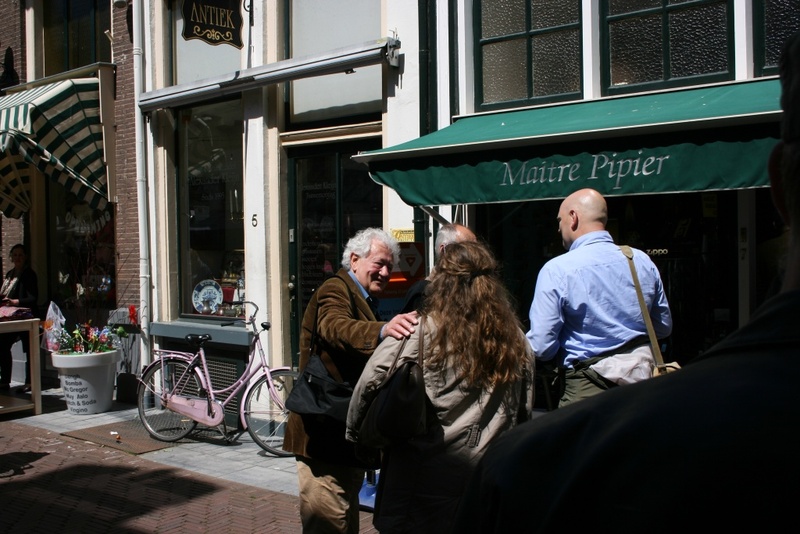 in the Sprongstraat and give it an authentic look as much as possible. 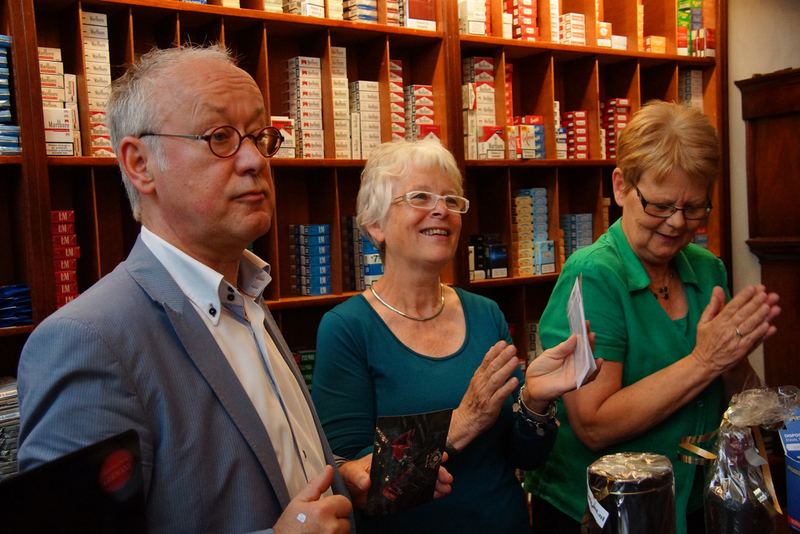 Willem: “People are coming in here who do not even smoke, but simply want to see how it looks. 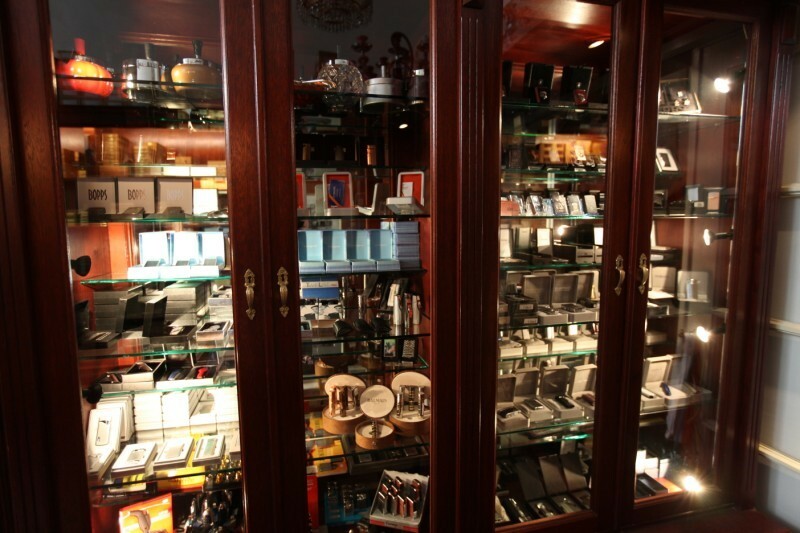 We have quite a special historic building with an interior design to match that.” Upon entering you see a large wooden counter and high shelves with cigars, cigarettes and pipe-tobacco tins and pouches in all shapes and sizes. 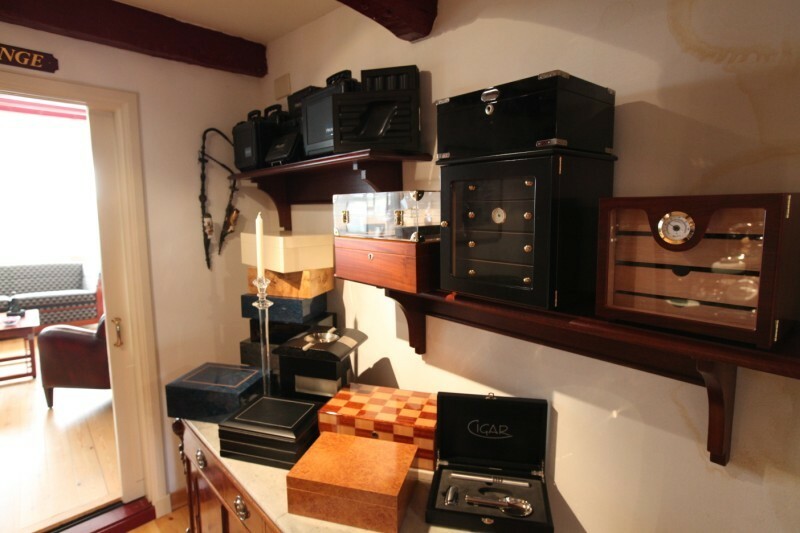 Furthermore, in the back of the store is a real climate-room for the storage of cigars. On the first floor is a smoking lounge where customers can sit and smoke and where activities are organised such as workshops and lectures. 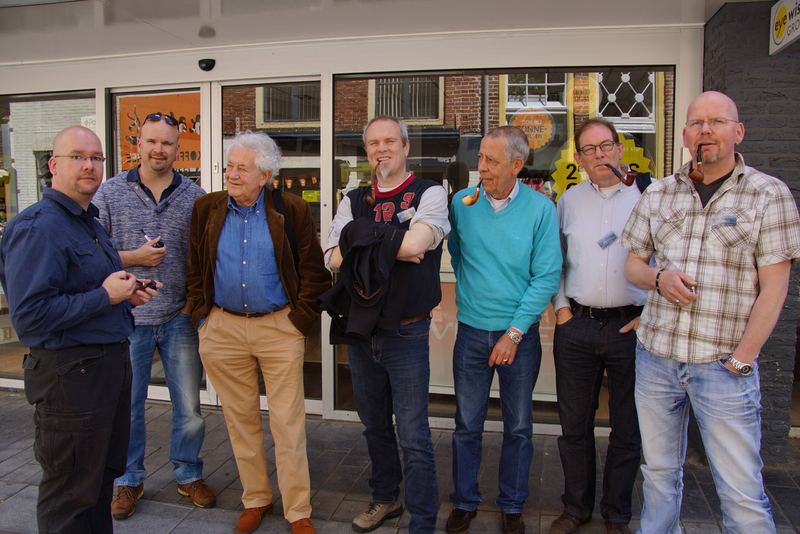 So last Sunday it was once again time for the annual Dutch/Belgian Pipe Smokers Forum meeting at Willem’s store. Actually it just was a Dutch occasion since no folks from our neighbour country to the South came over. A pity but understandable since it is quite a long drive from the Belgium border to Zutphen. At half past eight in the morning my good friend Ed rang the doorbell to pick me up. We had to be early at the store because I had all the name-badges. Usually we have a bunch of regulars who visit a lot of the meetings (like myself) and know each other but there also always are some newbies. Then it is very handy to see the forum-names and real names on those badges. When Ed and I arrived Willem was not even there, his colleagues were preparing the store for the meeting. 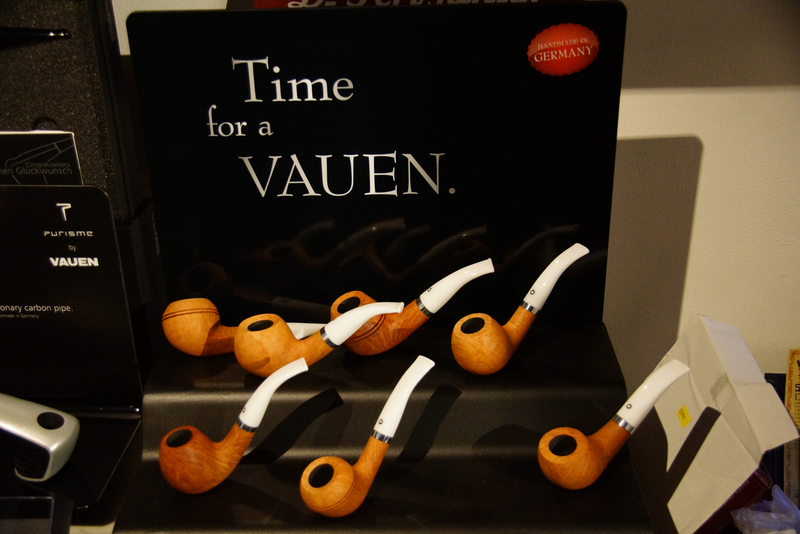 Besides the folks from the forum, some people from German pipe-brand Vauen, Dutch tobacco-importer Pronk and a German gentleman with pipes and tobacco also were going to be present. Nonetheless we immediately got some hot coffee and cake. Shortly after nine o’clock Willem walked in, shook hands with us and asked how we were doing. We sat down and I lit up my first pipe, some Sweet Vanilla Honeydew to begin the day with. When I took the first puffs Mark (Deadl0ck) entered the store. Together with Willem he had organised the day. While chatting away it suddenly seemed that the grim-reaper had appeared! It turned out to be Jos in his pipe-smoking coat. 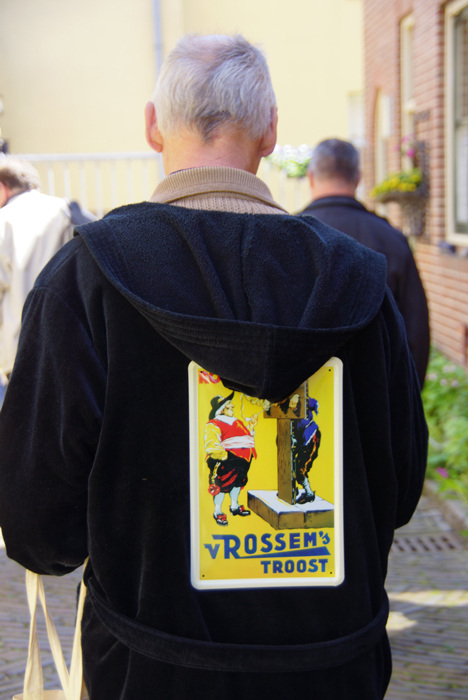 At the back of it he had glued a large metal sign of his favourite tobacco brand: Troost. For me he brought a mouse-mat with the Hell’s Pipe Smokers design that I made for some forum shirts a while ago and a couple of home-made peanut-butter pots from the Hartog bakery. Yummie! After a while more and more forum-folks trickled in and the store got filled up with people. Hands were shaken, pipes were drawn and soon the smoking-lounge saw blue of all the smoke. I approached meeting-newbie Carro (Calinero) because he had a book for me. He is a big bald headed man with tattoos and skull jewellery. Carro lives nearby the store which had that book so I asked him if he could buy it for me a week for the meeting. No problem of course. I decided to give him some extra money for his troubles but he stubbornly refused. Such a nice guy! And from Martin I got the tobacco that was the reason to buy the book. But more about this sometime in another post.. Somewhat after eleven it was time for us to go the harbour where we were going aboard on two “Fluisterboten” (Whispering-boats), arranged by Willem. 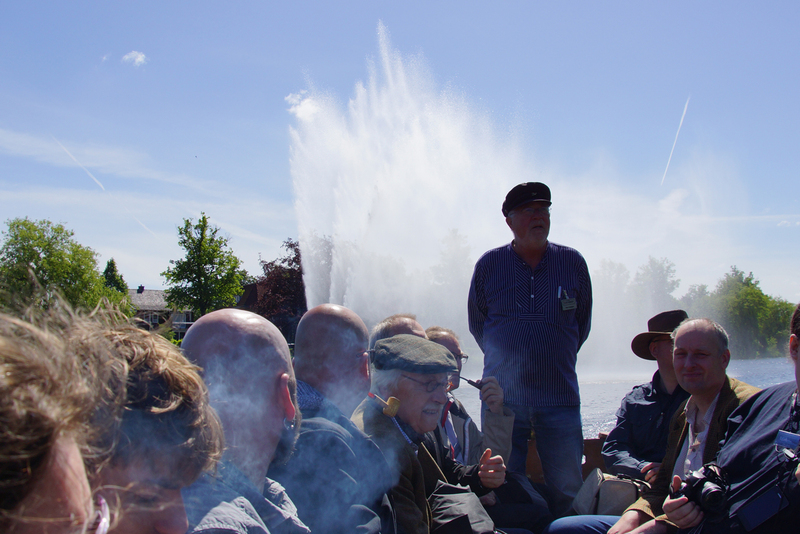 These boats are navigated through the canals of Zutphen by volunteers while they point out landmarks and buildings and tell all kinds of stories and facts about the city. 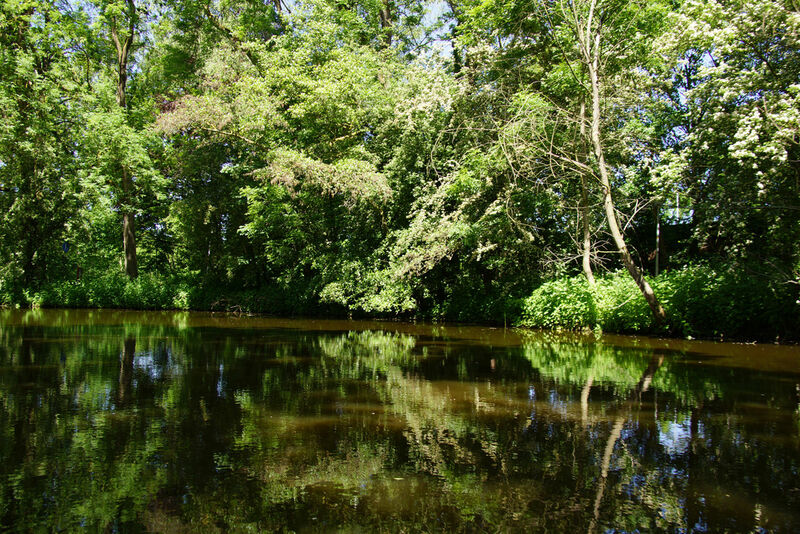 We were really in luck with the weather, not too hot, not too cold so it was an enjoyable and educational trip. Once in a while we heard the other boat because Jos then blew loud on his brass ship-horn. 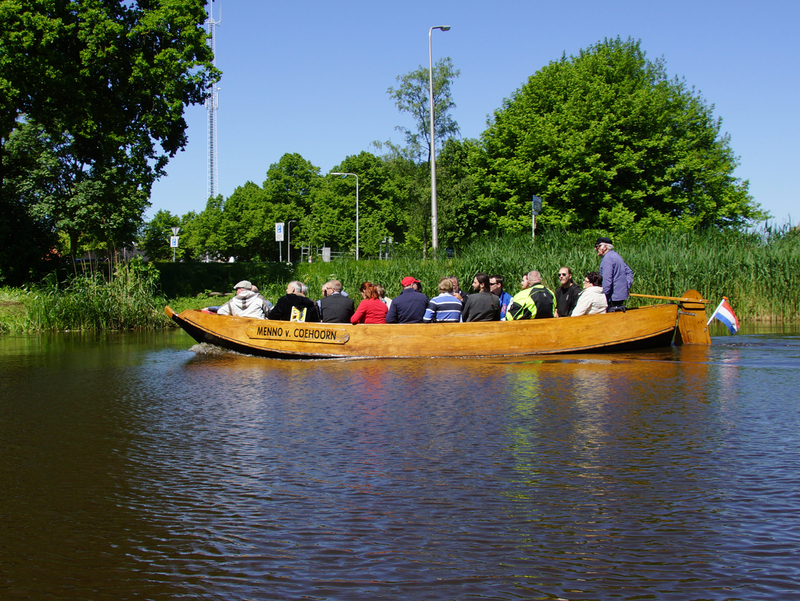 So if you ever visit Zutphen with a couple of people, go on a “Fluisterboot” and soak up the history, culture and nature of the city. When we came back at Willem’s store all kinds of sandwiches and drinks were waiting for us. Who was also waiting was forum-member Huub, he arrived just to late for the boats. 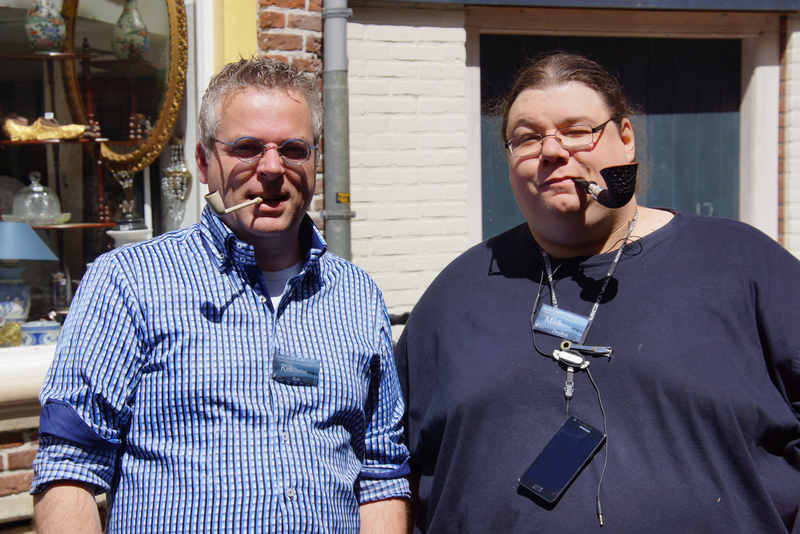 I wanted to meet him for a long time because he is such a walking encyclopaedia of pipes and tobaccos. He was amazed at how many younger people were present at the meeting. “In my time you were seen as old when you put a pipe in your mouth” he said. “Well, we don’t care!” said someone else smiling. The rest of the afternoon I spent talking to lots of people. And smoking of course. As always you never get to speak all the folks presents but that really does not matter much. There will be other meetings. Who I did talk to was Rob, he showed me an exquisite gold-banded Dunhill billiard and wanted to know from which year it came. And since I am somewhat of a Dunhill-snob I could tell him that. 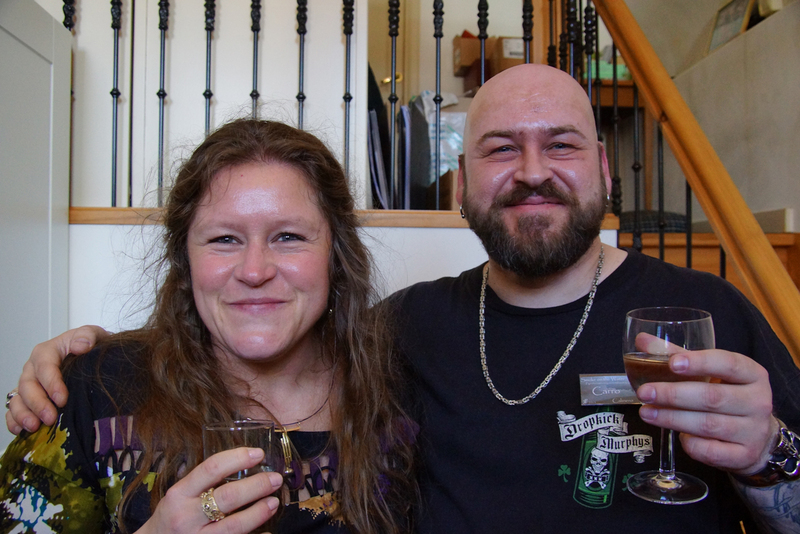 Also present was a guy who brought some (home-blended) whiskies for us to try. A lot of pipe-smokers love whisky. I heard that the man was interested in trying a latakia-blend because he was curious if it resembled the taste of peaty whiskies. He had almost no smoking experience but brought a pipe with him so I fetched my tin of Penzance and filled up his bowl with it. He lit the pipe and I honestly expected the guy to start coughing and seeing green. 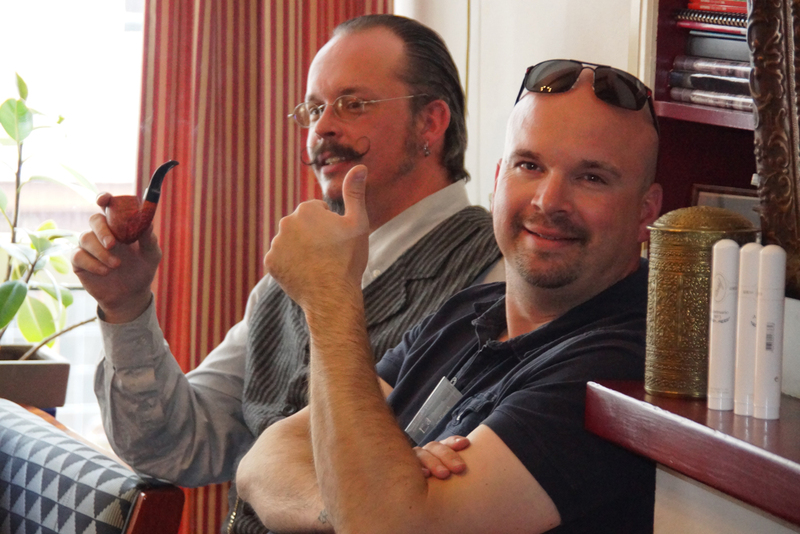 To my surprise he actually liked the tobacco, he found it very smooth and recognized the peaty flavour. He kept his pipe pretty well lit and began enjoying it even more when the Virginias and orientals kicked in. About half past six it was time to go. We shook hands with Willem and his colleagues and thanked them for the wonderful day. Outside the store one part of the forum-folks said goodbye and the other part made their way to restaurant Oriental. I had been there one time before with Mark and Wilfred (Wowbagger). 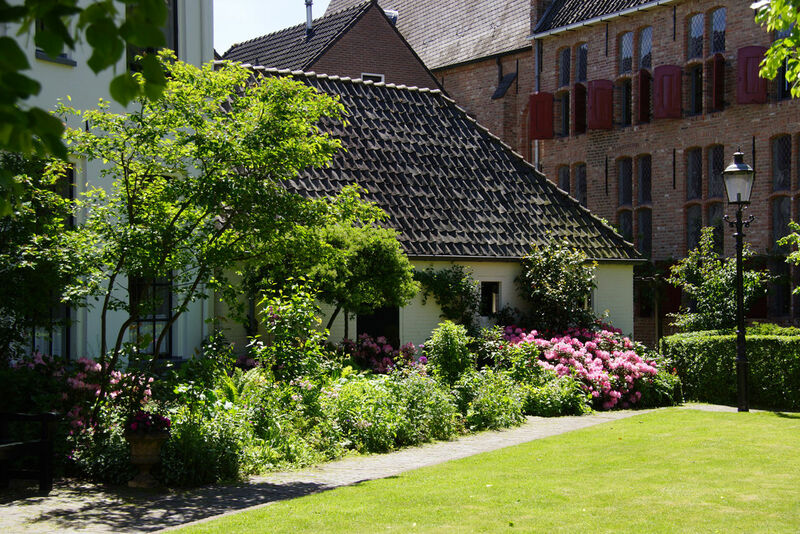 The restaurant has the best spare-ribs in Zutphen and surrounding area. You know, a nice marinade and properly grilled so the bones fall of the meat. Yum-mie! Several other forum members had heard of that visit so we ended up with 15 people there. 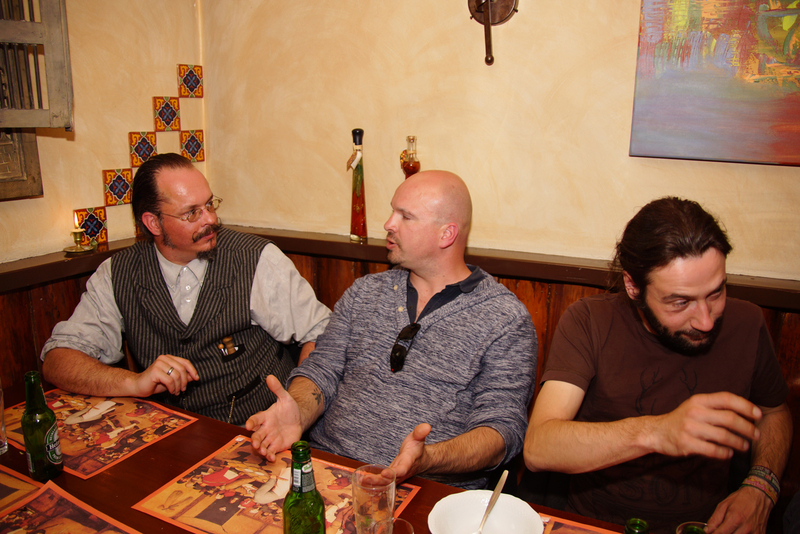 Luckily Mark had made reservations.. After the meal we all said goodbye and together with Ed I went home full and satisfied. 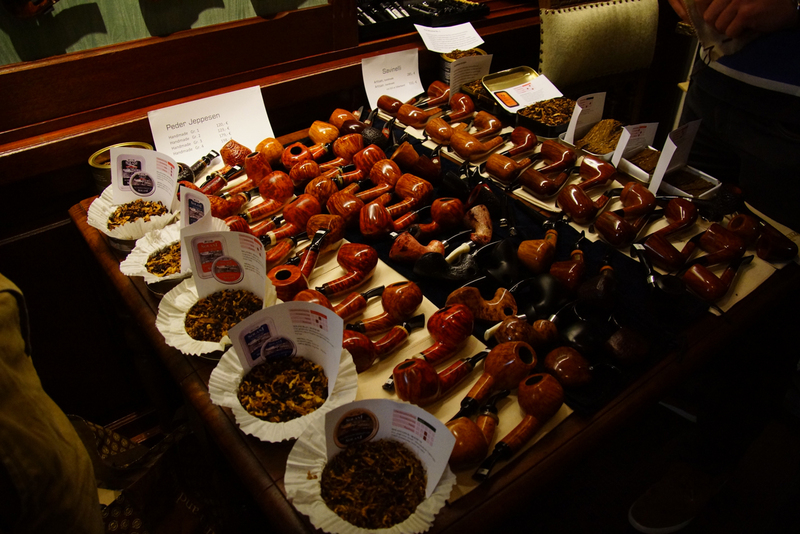 So thanks to Willem Schimmel & crew and all the folks of the Dutch/Belgian Pipe Smokers Forum. I can’t wait until next year!! !